We’re in town for SaaStr. Let’s meet for drinks! So many Cloud Software Association members are coming to San Jose for SaaStr Annual. Let’s face it, it’s really hard to find our SaaS partnership peers at big events like this. We’ve got your back—let’s get together. Kick off your week with success. 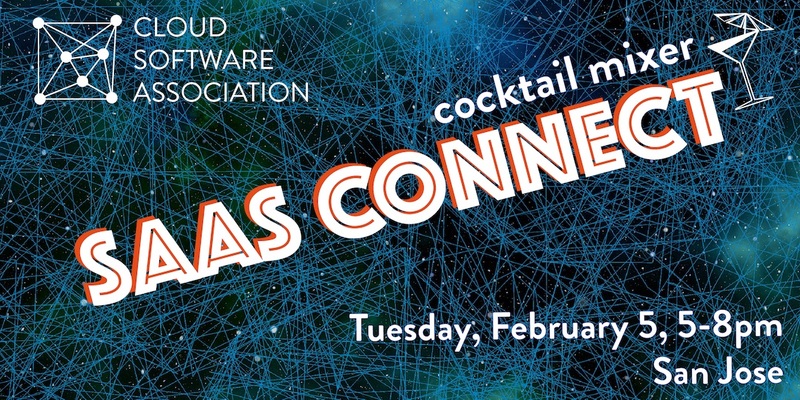 We’re buying cocktails and food for SaaS partnership and marketing leaders for anyone in the Bay Area Tuesday February 5-8pm. It’s the best room all week to meet your peers. Why fret about breaking the ice? We will connect you with the other registrants of our cocktail party so you can make the best use of your time that week. It’s us being awesome.. for you! So do us a favor. Invite your partners to come so you know where to find them. The more the merrier.